Robert B. Filion, 83, beloved husband for 21 years of Susan L., he is survived by his brother, Richard (Bethine) sister, Mary Bartl; grandchildren, Jordan, Joseph and Morgan; and great granddaughter, Gianna. Bob was a 22 year career U.S. Marine Corps Veteran. During his service to his country, he served two tours in Korea and Vietnam. After retiring from the marine corps in 1969, he worked at St. Mary''s College and St. Mary''s Hospital in California for 19 years as the food service director retiring in 1988. He was a member of the Marine Corps. League 555, American Legion 678 and VFW 3863. 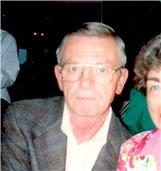 Funeral Mass will be 10:30 a.m. Friday Oct. 25, 2013, at St. Mary Magdalene Church, 32114 Vine St., Willowick. Visitation will be 4 to 7 p.m. Thursday.